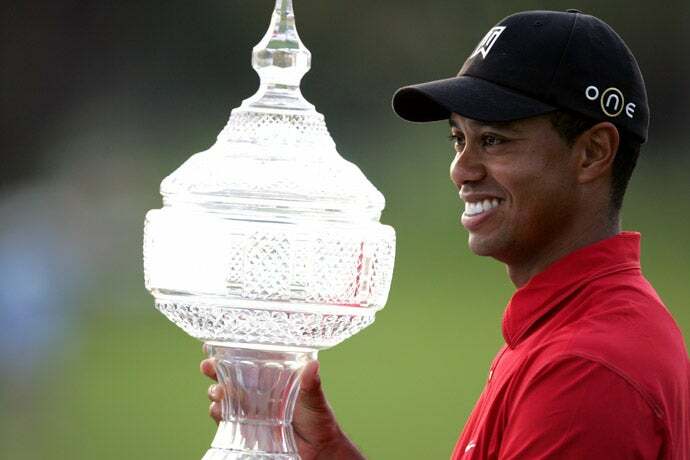 At 24, Woods became the youngest golfer to complete the career grand slam (1997 Masters, 1999 PGA Championship, 2000 U.S. Open, 2000 Open Championship). 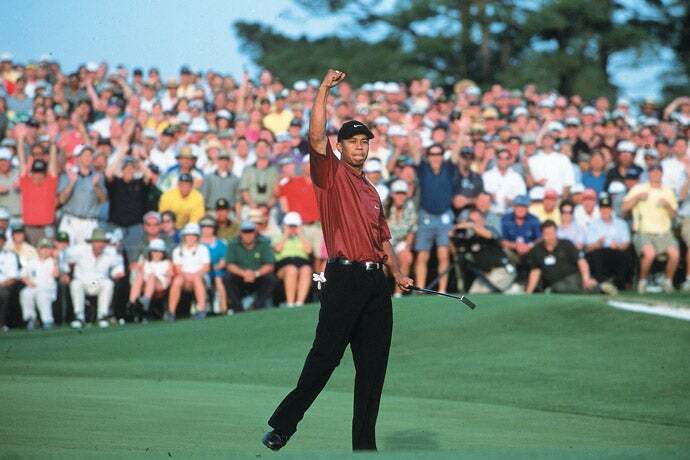 Months later, he won the 2001 Masters to become the only golfer to simultaneously hold all four major trophies. 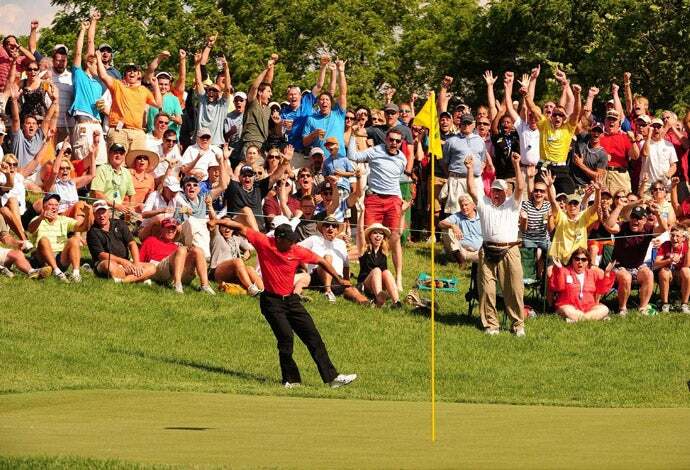 In all, Woods has 14 major championship victories in his professional career, second only to Jack Nicklaus who holds the record with 18. 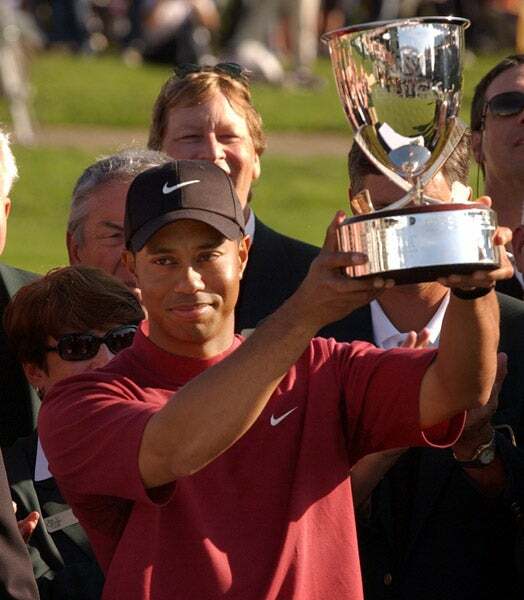 Woods has also accumulated 80 career PGA Tour wins, which is also second-most in the history of golf. Sam Snead holds the all-time record with 82 PGA Tour wins. 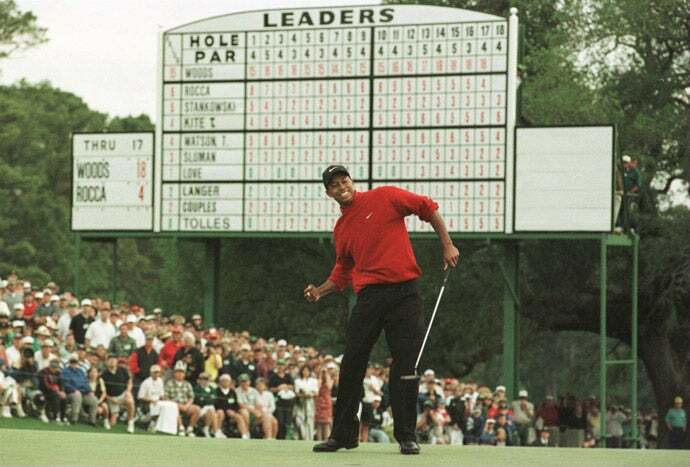 Woods was introduced to golf by his father, Earl, a single-figure handicap golfer who had playing privileges at the Navy course at the Joint Forces Training Base in Los Alamitos, Calif. Earl was hitting balls into a net in his garage when an 11-month-old Woods got out of his highchair and executed a perfect golf swing with a plastic toy club, albeit left-handed. He switched to playing right-handed weeks later. 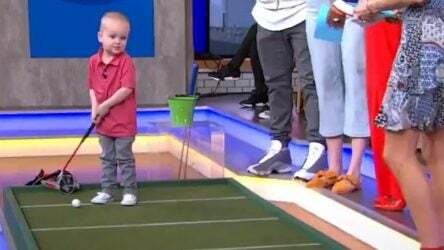 At 18 months old, Woods hit balls on a range for the first time at the Navy course, then played his first hole — recording an 11 on a 410-yard par 4. 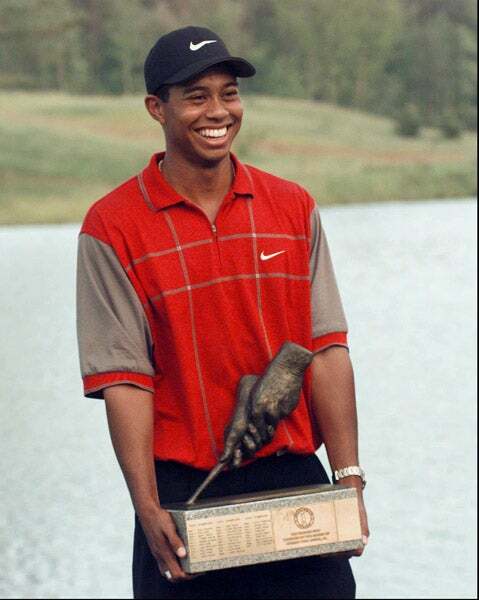 Woods was born Eldrick Tont Woods, but was quickly nicknamed “Tiger” as a child by his Earl. There are two reasons: Earl's best friend during two tours of duty in the Vietnam War was a Vietnamese colonel, Vuong Dang Phong, who died as a prisoner of the Communists. Phong was nicknamed “Tiger” for his prolific jungle fighting skills and courage. Earl and Phong were separated at the end of the war and Earl did not know of his death. 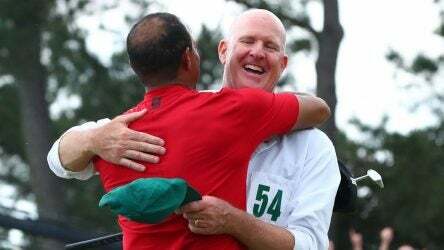 Earl said that from Woods' birth, he knew he would achieve global fame and that seeing ‘Tiger Woods' in the news could facilitate a reunion with Phong. Earl also said he passed on the name to Woods in the hopes of inspiring Phong's bravery in his son. 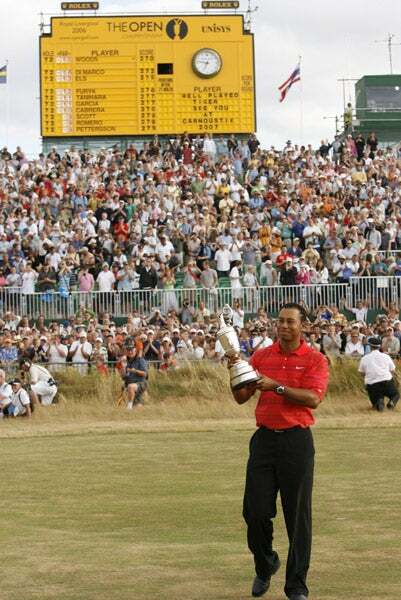 By taking out the $10 million FedEx Cup title in 2009, Woods became the first ever billion-dollar athlete, eclipsing his nearest competitors in Michael Jordan and Michael Schumacher. His race to $1 billion started with a record $40 million Nike contract when he turned pro in 1996, and was cemented when he entered 2009 having amassed an estimated $895 million in career earnings. 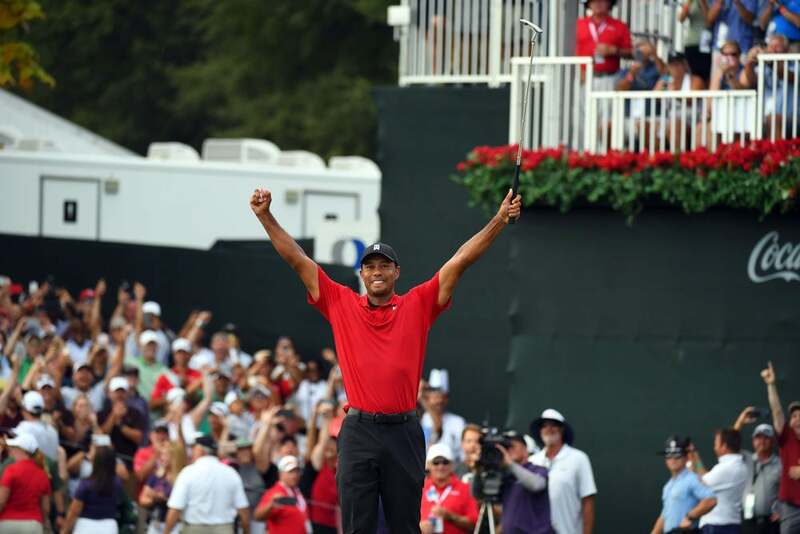 He then secured $10.5 million in prizemoney, the FedEx Cup bonus and more than $100 million in off-course earnings to make sports business history. 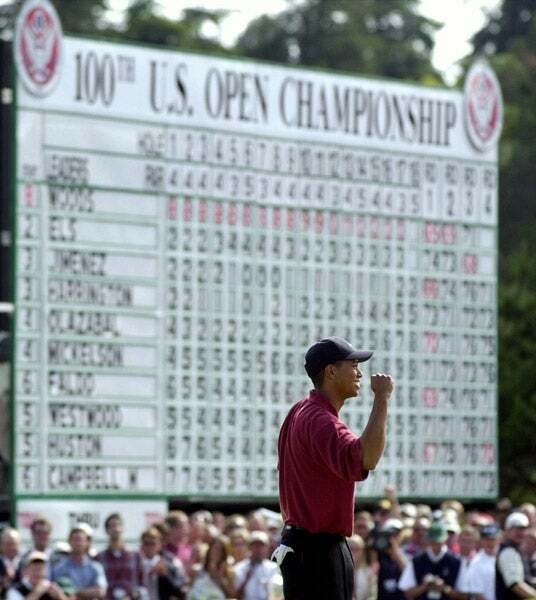 Woods endured one of sport's most infamous scandals in 2009. In November, The National Enquirer published a story alleging Woods was having an affair with New York nightclub hostess Rachel Uchitel. Days later, Woods crashed his Cadillac Escalade into a fire hydrant and a neighbor's tree at 2.25 am near his Florida home. Additional women then came forward in tabloid newspapers and magazines, claiming affairs with Woods. 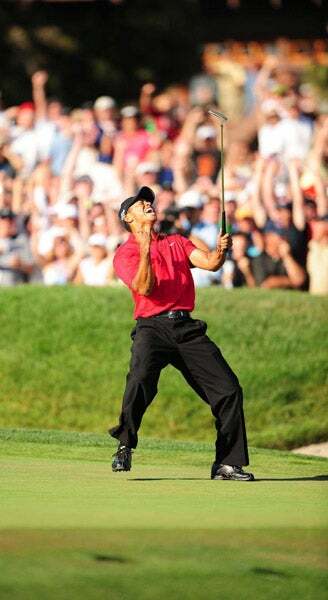 Woods lost major sponsorship deals, spent 45 days in a clinic and did not return to golf until the 2010 Masters. In 2017, Woods was arrested under the suspicion of DUI when police found him asleep at the wheel of a car. Woods was cleared of DUI but a toxicology report found five prescription drugs in his system. Woods' niece, Cheyenne Woods, is an LPGA Tour player who has won on the Ladies European Tour, but his children, Sam and Charlie, don't appear to want to follow in dad's golfing footsteps. Sam and Charlie are avid soccer fans, who play the world game and are fans of European powerhouse FC Barcelona. 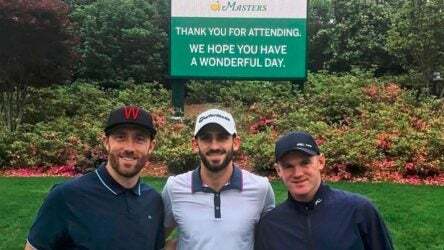 In 2017, Woods posted photos on social media of his children meeting Barcelona superstars Lionel Messi and Luis Suarez. 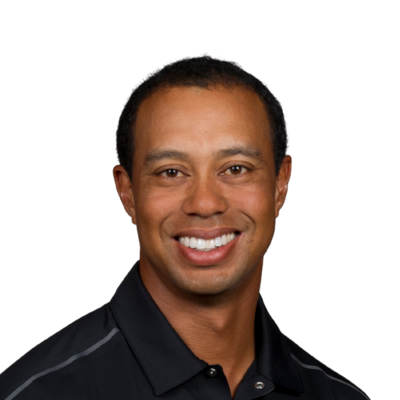 Woods spends large portions of his free time spearfishing behind his property in Jupiter, Florida and the Bahamas. He is a lover of many watersports including scuba diving and tank diving. Tiger Woods is a lifelong fan of the Oakland Raiders, as well as the LA Dodgers and Lakers. He is also a keen tennis fan and is regularly seen in the stands at Flushing Meadows during the U.S. Open. 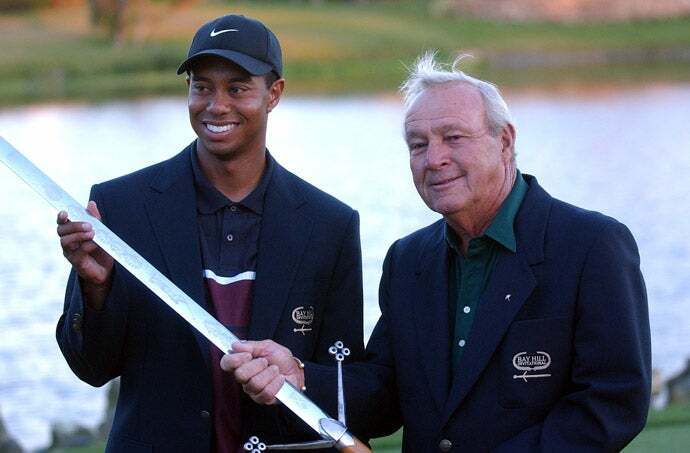 Woods launched the Tiger Woods Foundation in 1996 with father Earl to promote golf among disadvantaged inner-city children. Now called the TGR foundation, the charity has opened the Tiger Woods learning center in Anaheim, CA as well as four more campuses across the U.S.
Woods has a burgeoning career in golf course design. He builds courses with his team at TGR Design. Despite his young age (at least in terms of golf course design), Woods has multiple completed designs on his resume, as well as several projects that are in the works. He unveiled his first completed golf course in 2014 at Diamante Resort in Cabo San Lucas, Mexico. Known as El Cardonal, the course weaves through sand dunes and features stunning seaside views. Woods later designed and built a short course known as The Oasis at Diamante. In 2016, Woods debuted his Bluejack National golf course near Houston, Texas, to rave reviews. The course is a challenging test but also is playable by all types of golfers, good and bad. This is key aspect of all Tiger's designs. Woods, along with TGR design, is the lead architect on a much-anticipated transformation of a lakeside golf course in Chicago. President Barack Obama is among the notable figures involved in that project. Most recently, it was announced the Woods will design a brand-new, oceanside course in Oahu, Hawaii, that will be known as Makaha North Course. It will call Mākaha Valley Resort home, and famed golf architect Gil Hanse has been tapped to build a second course at the resort.